Miss Universe Spain 2017 was crowned at the historic Teatro Fortuna, Hotel THB Torrequebrada Class in Málaga Sunday evening. 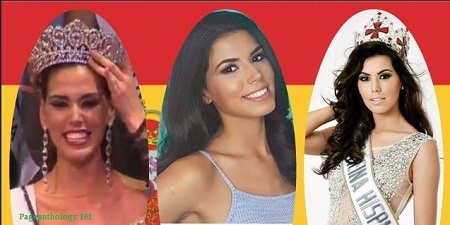 Miss Castilla La Mancha, Sofia del Prado, was selected from a field of 39 contestants and will be representing Spain at the Miss Universe 2017 pageant in November in Las Vegas, Nevada, USA. It turns out she's no stranger in the world of pageantry. Sofia competed in Miss Universe Spain 2015 where she placed as second runner-up. And on the same year, she was crowned the winner of Reina Hispanoamericana in Bolivia.